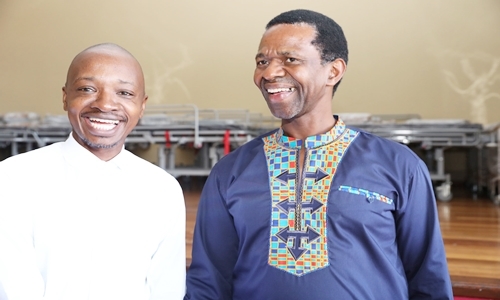 KZN Health MEC Dr Sibongiseni Dhlomo has congratulated the 41 year-old incoming CEO of King Edward VIII Hospital. Umlazi-born Dr Thami Mayise takes over the reins at the 83 year-old hospital on Thursday, 01 February 2019, following the recent retirement of Dr Mandla Mazizi. Dr Mayise is one of the youngest hospital CEOs in the province, and has previously been at the helm of hospitals such as Prince Mshiyeni Memorial, RK Khan, Newcastle Regional, and Niemeyer Memorial. 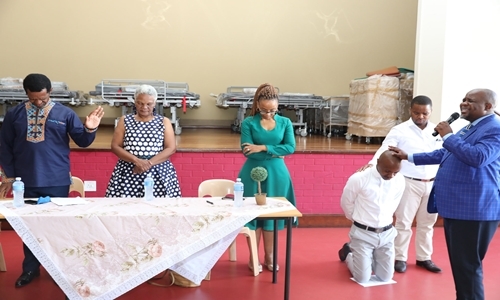 He has also worked at the Department’s head office, under the Strategic Health Programmes cluster that incorporates the management of HIV and AIDS, Sexually-Transmitted Infections and Tuberculosis. Dr Mayise says he feels “honoured and priviledged” to be given a chance to take charge of the hospital, and has vowed to work inclusively, and in partnership with various relevant stakeholders. The hospital is currently undergoing multimillion-rand worth of repairs to certain critical sections which were damaged by a severe storm in October 2017. Some are nearing completion, while work continues in earnest on others. MEC Dhlomo says: “There are many challenges with King Edward, but if you take leader like Dr Mayise, you’re very confident that he’s going to be able to meet the challenges. We’re also not going to disappear. We’ll help navigate through these challenges with him. “After the storms in 2017, which saw some of the roofs blown off, there’s been a significant improvement in the reconstruction of the hospital. We are at almost 98% with the completion of S block. We still have the remaining theatres in S-Block, and the high care and ICU still to be repaired. There’s been progress in the maternity O-ward; and O-1 ward. I’m informed that by the end of February, almost all those will have been completed. If there isn’t any completion, it will be just one or two areas. “We really want to thank our staff members who have been patient with us under those difficult conditions.